This morning, we slept in a bit as we have all done high miles and long days so far through Wyoming. Rampage(who got her name for her temper…especially in the morning) really wanted more sleep this morning. I went ahead a started hiking at a relaxed pace at 7am and they caught up a bit later in the morning. 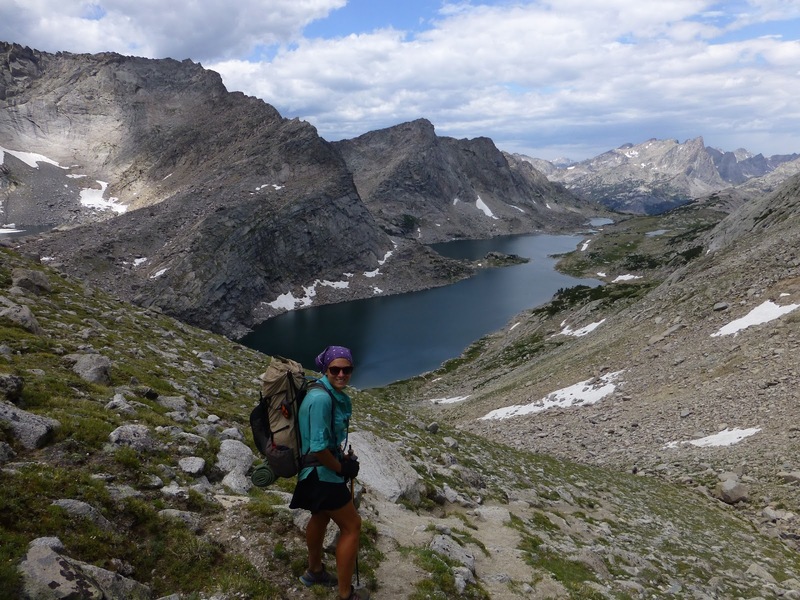 We have been hearing the hype about this section in the Wind River Range and were looking forward to some epic hiking…it definitely lived up to the hype! This morning started out with a couple hours of steel wooded hiking before the fun started. 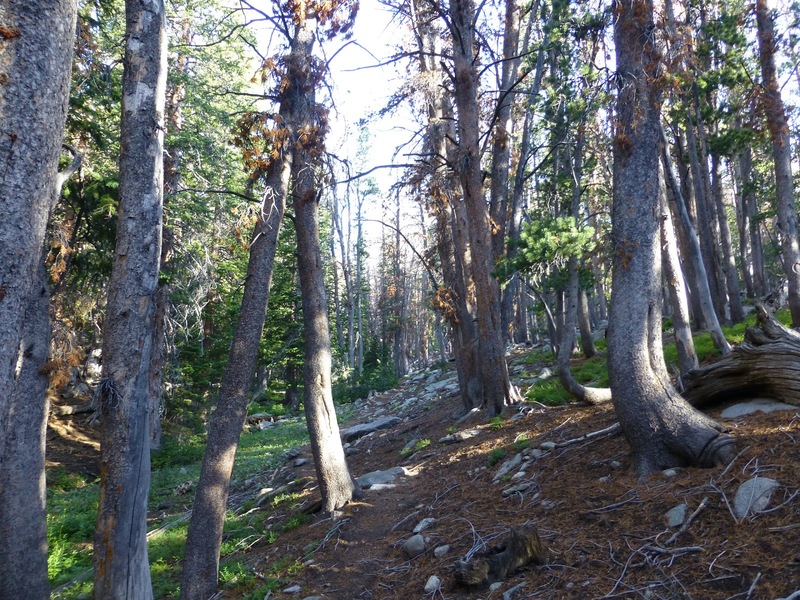 For the last 15mi of the day, we did a popular alternate that parallels the CDT’s official route and it is called the Cirque Of The Towers alternate. It was great! 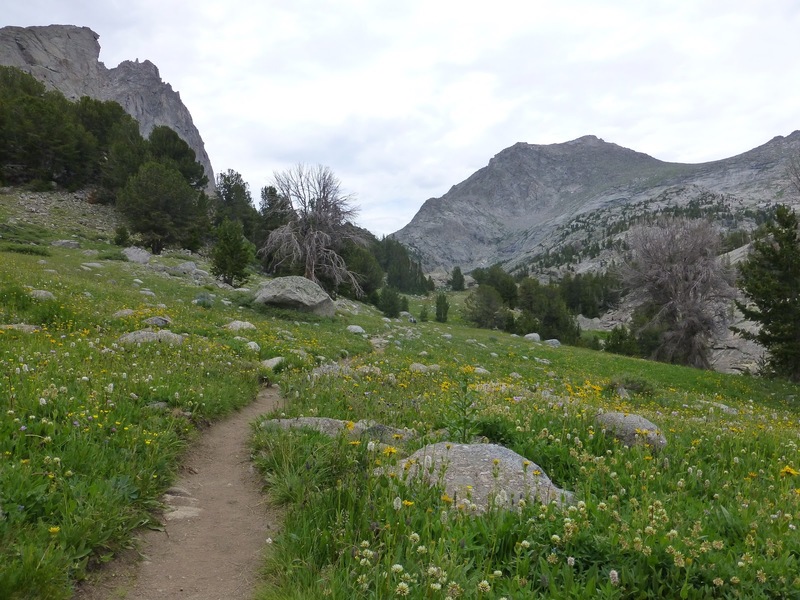 We started off in a meadow and followed a stream while surrounded by high walls and peaks of granite. Some of the mountains were so large I couldn’t capture them on the camera. Luckily the camera decided to work with all of its functions for the first half of the day, so I pieced together some clips of the Winds, which I’ll post at the end of this leg. Then we spent the rest of the day getting over three passes that were each over 11,000ft high. Between the passes, we’d drop about 1,000ft and walk along some amazing scenery with beautiful lakes. Then we’d climb about 1,500ft to the top of the next pass. I took so many pictures today it was ridiculous. I had trouble picking which to post, but the rest will go in the slideshow I’m putting up at the end of this leg. 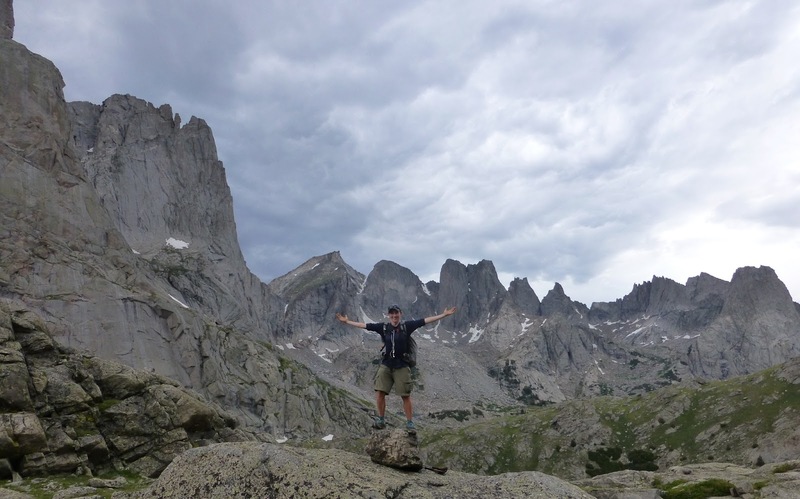 Here is one of me with some of the Cirque Of The Towers peaks behind me. We saw many recreational backpackers and groups out too. It’s just a pretty amazing place that reminds me of the Sierra in the way that there are passes and then level stretches with lakes in between. It was just EPIC. One of my favorite days all trail. At the end of the day around 6pm, we were coming over the last pass and it started to sprinkle. We got down to some camping spots by Barren Lake just as the thunder rumbled and the rain got harder. I think that is the fastest I’ve ever set this tent up! I got it pitched just before the rain got really steady and I was so happy to be sheltered! It lasted about an hour and we’re hoping it’s passed for the rest of the night. Here is our campsite at Barren Lake. You’ll notice that our mileage is significantly lower than our recent average. We were warned that the Winds would have more rugged trail and steep ups and downs and that is right! Just the rocky terrain in some parts today made for some really slow going on the decent from a couple of the passes. It was invigorating to hike that route today and I am really going to sleep well tonight!